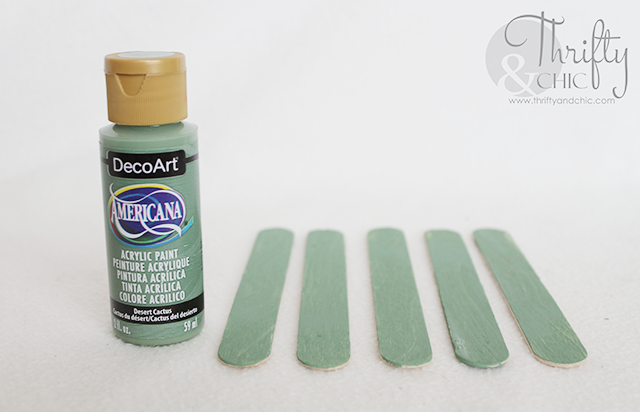 I have had the awesome opportunity to team up with DecoArt as one of their core bloggers for the next year. 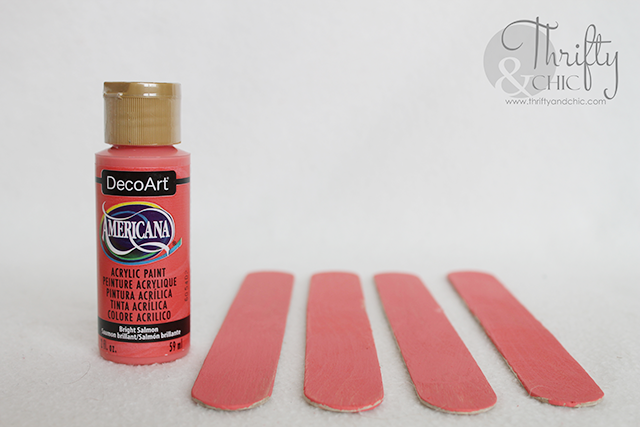 If you aren't aware of what DecoArt is, they are pretty much the name behind all the paints you use for crafts! 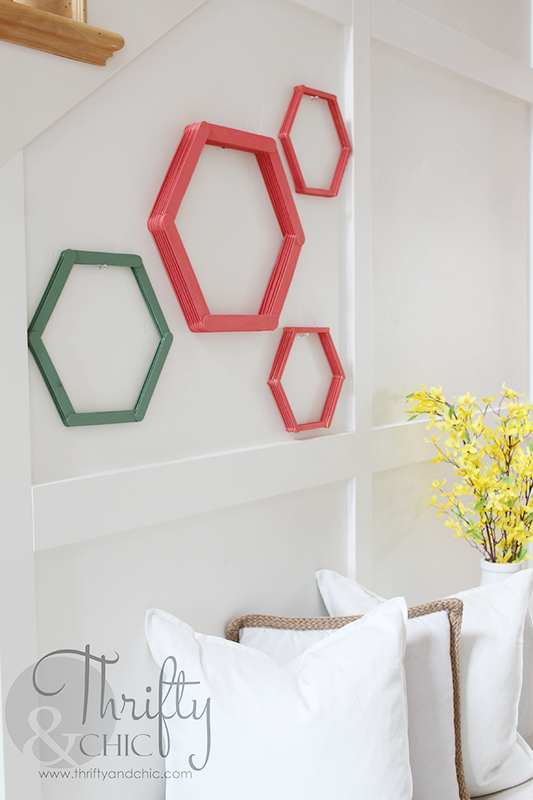 So, once a month for the next year, I'll be sharing with you some cute DIY projects you can do with DecoArt products :) Today, I'll be sharing with you how to make these cute little hexagons and use them as wall art to make a cute little honeycomb pattern! 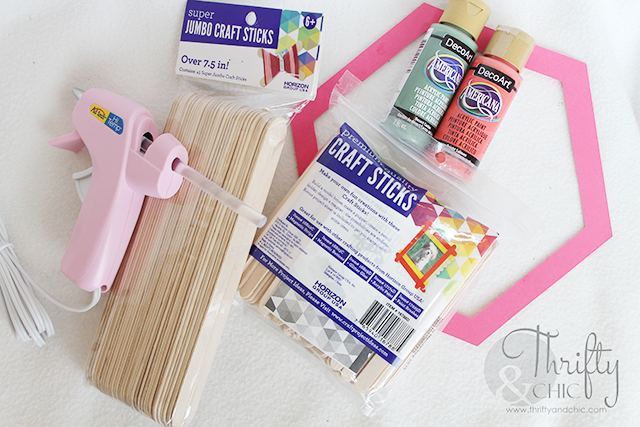 First, I painted my craft sticks...well, let's be honest, aren't they really call popsicle sticks? 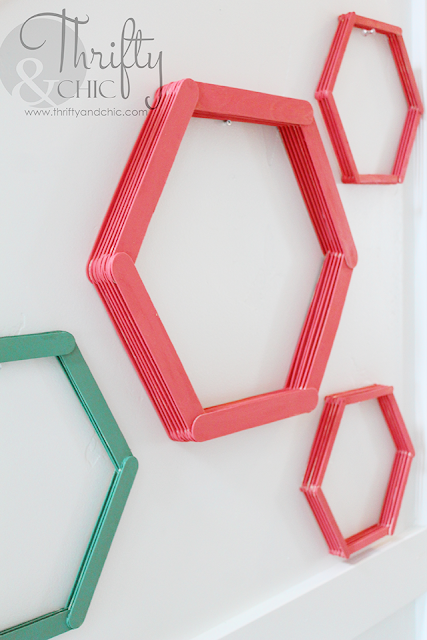 :) I used Bright Salmon for the larger hexagon and two of the smaller ones. And Desert Cactus for one of the smaller ones. Aren't these colors amazing? I love them for Spring and Summer! Next was to create the hexagon pattern. I free handed this at first, and it came out totally crooked. 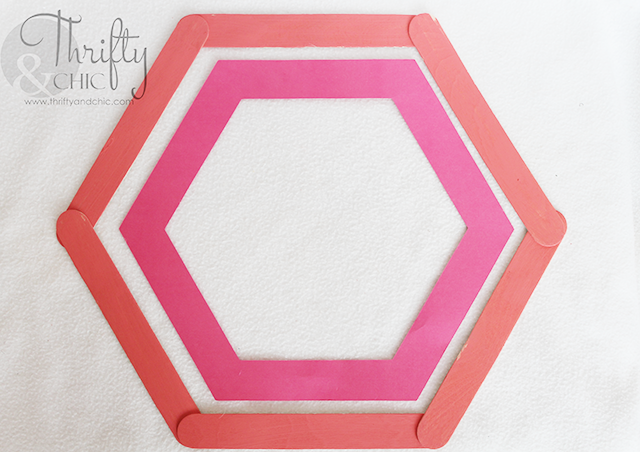 So, then I decided to cut out a hexagon on my digital cutter. I cut out multiple sizes to see which ones would work the best for each size stick. When it came down to it, not one size really worked perfectly, so I just ended up laying out the sticks around the paper hexagon making sure each stick was parallel with the matching side. I glued each of these sticks on top of one another using my hot glue gun. Once I got the initial base shape done, I then continued to glue the sticks on top of each other until I reached a depth that I liked. 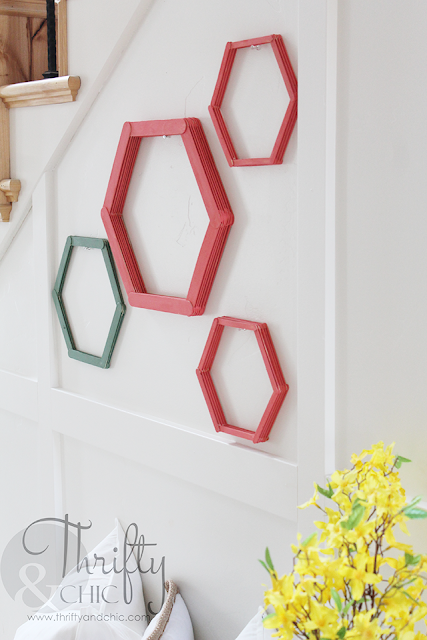 I used three different size sticks, the larger hexagon was made with jumbo sized sticks, the green with the large size and the other smaller two with what would be the normal size for popsicle sticks. 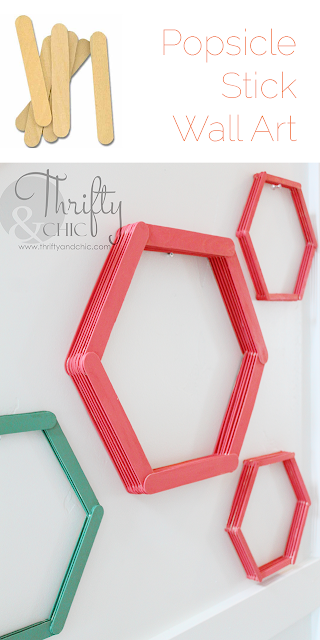 I then hung them on the wall to create a little honeycomb type look, but without them touching. I have a ton of these little sticks left, and now my mine is spinning on how to make more things! 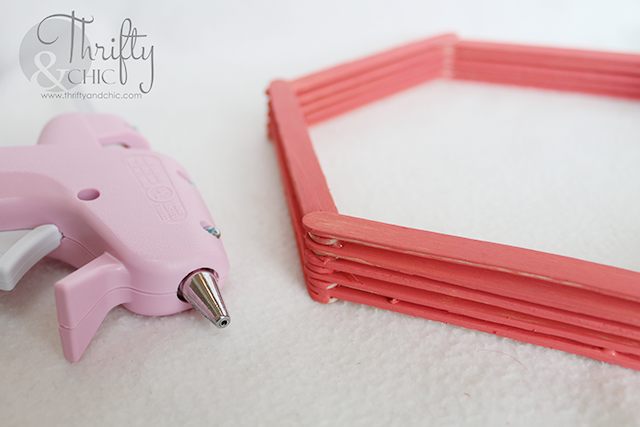 This totally brought me back to my childhood when I used to make my mom wooden jewelry boxes out of popsicle sticks :) I was seriously addicted to making them. She probably had like 20 lol. When my girls were little we always set time every few times a month to do crafts like these. We enjoyed it so much.